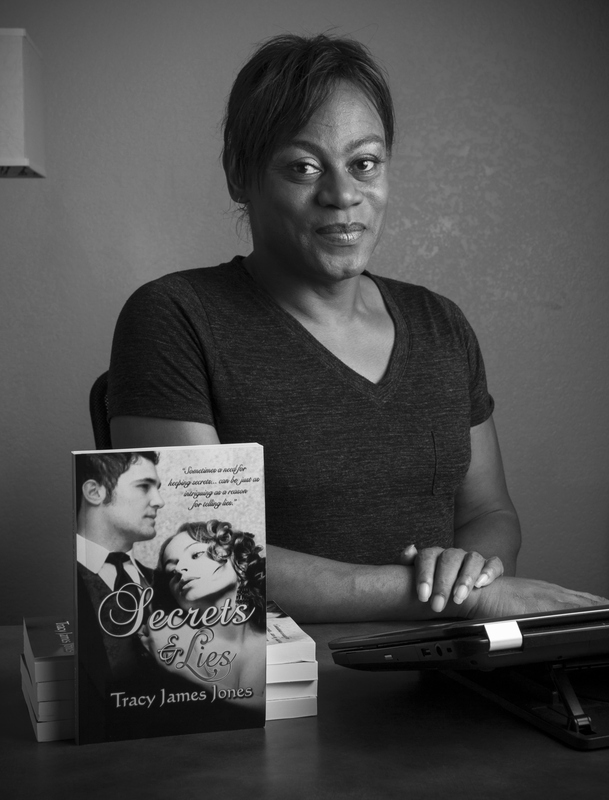 My name is Tracy James Jones and I am a blogger, reviewer, writer, former actor & artist, with much love for books, film, music, and open-minded, friendly people. :o) I write true-to-life like stories, novels & screenplays with real characters set in realistic human situations. In terms of genre, I write interracial multicultural romantic drama with an unexpected twist. Born and raised in Waxahachie & Dallas, Texas, I have had a lifetime love affair with the entertainment industry. Starting with singing in my church choir, I later ventured into stage productions with my local community theater and eventually feature films. I started writing in high school, with the help of an amazing Journalism teacher, which I continued as my major in college, with a minor in mass communications. Switching from journalism to creative writing came into play after I was offered the opportunity to write the life story of a local boxer, which later became a documentary film. Writing his story opened the door for me to begin writing my own novels and short stories. To date, my literary portfolio is 24 pages long, featuring talent resume, newspaper articles, book tours, author events, book promotions, and reviews. My writing includes 2 screenplay adaptations of my original fiction novels, “Searching For Eden” & “The Inhabitants of Magnolia Park.” My novel, “Secrets & Lies,” is also being formatted for film. Altogether, I have four novels and two short stories available on Amazon. I am officially the first Black American Mainstream/Contemporary Romance Author from my hometown. In the future I plan to write more human interest novels & short stories. I also hope to translate more of my work for screen. At present time, all of my books are available on amazon. Free shorts and excerpts are available on my blog and/or wattpad.com. According to a close relative, I was raised in a perpetual glass box, over protected from the woes of the real world around me. To a degree I accept this description because my early years were spent with my maternal grandmother who indeed sheltered and taught me only the good things about life. Through her, I learned to treat people the way I wanted to be treated, and to respect all others despite any differences. I lost my grandmother at the age of nine, but the things she taught me would last throughout my life. Once she was gone, the blinders were lifted. I was to never be a stranger to the hardships of life again. The hardest of all has been love, death, & prejudice. The joys have been a loving family and life-long friends. Most special are my mom and dad, who have been my champions throughout everything I have envisioned to achieve in my life. I am so blessed in more ways than I could have ever imagined. Growing up shy, as far back as I can remember I have always been observant of people around me. I’ve always had a fascination regarding how they reacted in all sorts of situations. I love human emotions. It’s like if someone smiled, I always felt compelled to smile back, or if someone were sad, I felt sad with them. This compassion I have for others is often reflected in my work because it breathes life into my characters. I Like that. It’s an important factor to my creativity. It also speaks to the kind of person I believe I am. Hello! I’ve been following your site for some time now and finally got the courage to go ahead and give you a shout out from Atascocita Texas! Just wanted to tell you keep up the great work! Hi Tracy, I’ve been happily enjoying your blog, review sites and tweets and I am wondering if you would be interested in reviewing my YA fantasy novel Secrets of Ghosts. I haven’t been able to find a contact section (sorry!). I can send a kindle, epub or PDF. I appreciate your consideration and hope this doesn’t look rude. Thanks, Mardi. Sorry about the contact link. I have a link on the website but not here. Hope to catch up soon. It’s a pretty interesting means of networking although you are way better at that already than I am! Awww. Thank you, Keith. That means so much coming from you. Big hugs and much love, as always. Very impressive bio…but I’ll bet you’ve heard that maybe once or twice before! Being from Dallas myself, I will say you are doing very well and making the “Lone Star” state proud! Thank you for visiting my little neck of the woods. I too have some entertainment credits: I sang a Christmas song at our company get together a few years ago, and I was in a cable commercial for an auto dealership once…(I know, impressive, right)? Seriously, thanks for the visit…and all continued success to you. That would certainly be my pleasure! I like hearing from “upbeat” people such as yourself!